The Frick Art & Historical Center is complex of historic buildings and museums formed around the Frick family's 19th-century residence known as ‘Clayton’ in the heart of Pittsburgh. 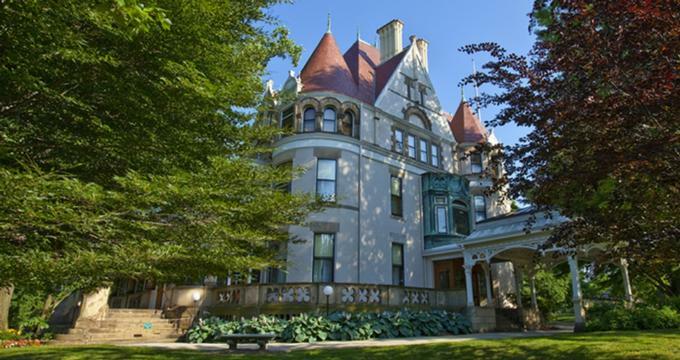 Glorifying the Gilded Age the Art Center features a collection of buildings, including an Italian Renaissance-style museum with an array of works that focus on the life and times of art collector and industrialist, Henry Clay Frick, who lived from 1849 to 1919. The Frick Art Museum began as an 1860s-built Italianate-style house bought by the Fricks shortly after they married in 1881 and served as their primary residence from 1883 to 1905. 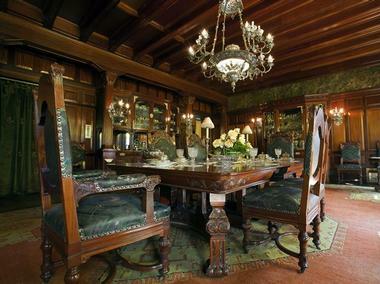 The mansion was maintained and remodeled by several architects before being opened to the public in 1990. The Car and Carriage Museum was converted in 1997 from the original 1950s carriage house, and the Frick Collection, which was established by the Fricks when they moved to New York in 1905 was transferred to the Center. 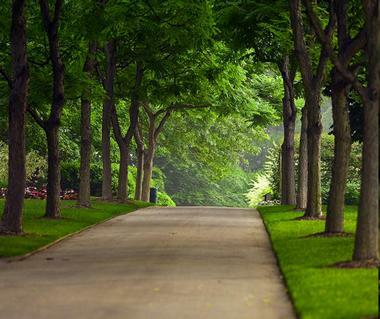 Set on 5.5 acres of beautifully manicured gardens and lawns in the vibrant Point Breeze neighborhood, the complex features the Frick’ 19th-century mansion known as ‘Clayton,’ the Car and Carriage Museum, the Frick Art Museum, the Frick Children’s Playhouse, the Greenhouse, and The Café. 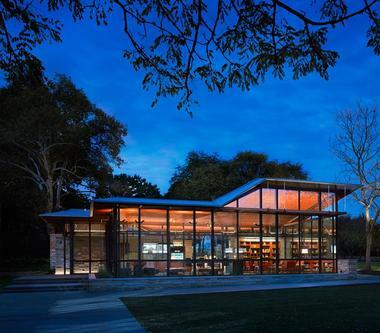 Located in the heart of the Frick’s 5.5-acre campus is the 3,000-square-foot Grable Visitor Center, where visitors can learn about the Frick family and Pittsburgh history, the collections of the Museum and schedule a tour of the Center. There are friendly and welcoming Museum Experience Associates are on hand to help with questions and information about the Frick, along with an iPad bar and touch table for interactive and immersive experiences, Learning and Reading Rooms, and a gift shop and Museum Store. 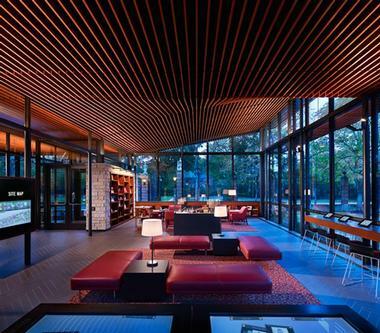 Designed by Schwartz/Silver and Associates, the building features Pennsylvania sandstone, wooden ceilings, and a porcelain tile and herringbone patterned floor. The meticulously restored 22-room mansion home of the Henry Clay Frick family (1882–1905) is known as ‘Clayton’ and features an impressive array of fine and decorative art objects purchased by the Fricks through their lifetime. When it was acquired, the mansion was an 11-room, Italianate-style building set on just over an acre of land and fronted Penn Avenue in the residential neighborhood of Point Breeze. 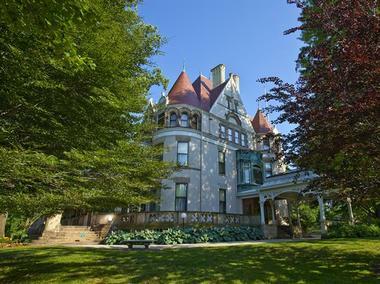 After outgrowing the family home and moving to New York in 1891, architect Frederick J. Osterling transformed Clayton into the 23-room chateau-style mansion it is today. Visitors can enjoy docent-led tours of the mansion and gain an insider’s look at life at the turn of the 20th century and a better understanding of Pittsburgh during the Gilded Age. Designed by local architects Pratt, Schafer & Slowik in an Italian Renaissance style, the Frick Art Museum houses the collection of Helen Clay Frick, who established the Frick Art & Historical Center. The Frick Art Museum features early Italian Renaissance paintings and French 18th-century painting and decorative arts. The Frick Art Museum has a diverse collection of artworks by a variety of renowned artists, ranging from Baroque and Renaissance bronzes to Late Medieval, Renaissance, and 19th-century European paintings. Featured artists include Renaissance and Late Medieval painters such as Francesco di Vannuccio, Matteo Di Giovanni, Lippo Memmi, Jean Bellegambe, Bernardo Daddi, and Giovanni di Paolo, as well as Jan van Os, Jean-Louis de Marne, and Apollonio Di Giovanni. Nineteenth –century artists include Anton Mauve, Jules Cazin, and Jean-Francois Raffaëlli. 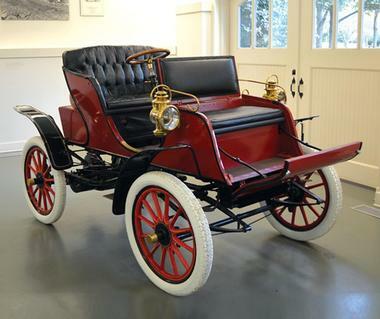 An excellent automobile collection features a Brougham from 1881, a 1903 Baker Electric, a Bailey Electric Phaeton and a Keystone Sixty-Six Roadster dating back to 1909, and a 1914 Rolls-Royce Silver Ghost Touring Car. Other cars include DaimlerLaudaulet from 1912, a 1914 Ford Model T, a 1924 Auto Red Bug Flyer, and an American Bantam Convertible Coupe from 1940. The Frick’s 5.5-acre site is home to lush manicured gardens filled with a diverse selection of trees and a newly renovated active greenhouse. 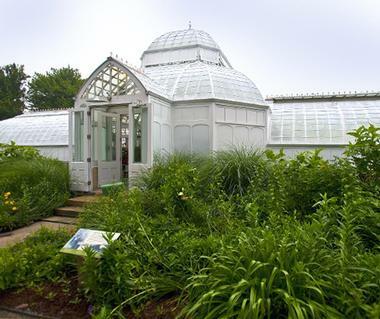 The first greenhouse served the Frick family from 1897 through the 1970s and was used to grow flowers, tropical plants, and vegetables year-round. The original greenhouse was rebuilt in 1897 by architects Alden & Harlow, and many of the vegetables and fruits are used in the cuisine served at the café. Designed by Alden & Harlow architects in 1897, the Playhouse was a center of activity for children of the Frick children and featured a bowling alley, a dark room used for photography. Today, the building houses offices and are not open to the public. The Education Center is a dedicated learning space with three classrooms, which are equipped with modern technologies that enhance the variety of high-quality, artifact-based programs. 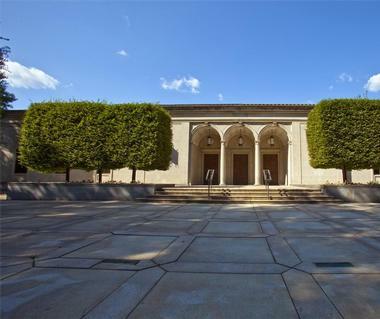 The Frick Art & Historical Center is located at 7227 Reynolds Street in Pittsburgh and is open Tuesday through Sunday from 10:00 am to 5:00 pm daily and from 10:00 am to 5:00 pm on Fridays. Admission to the Frick Art & Historical Center and the Gardens is free, however, Clayton tours and special exhibitions require a small fee.